Make the most of off-site storage space with high-bay shelving from Spacesaver. 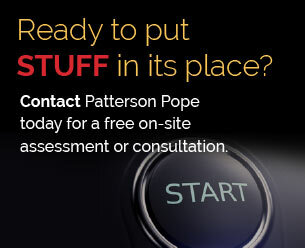 Moving seldom-accessed items to an off-site archive storage facility is a great way to free up space. Spacesaver high-bay shelving can help make the most of vertical storage space while maintaining organization and full accessibility. We offer two high-bay storage options from Spacesaver: stationary (static) or mobile. 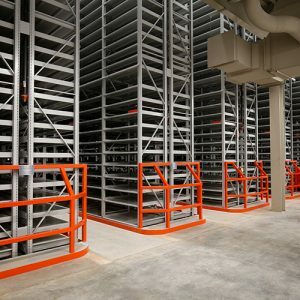 Static high-bay shelving is built for stable archive storage of book trays and archival boxed records for optimal flexibility, space efficiency, economy, accessibility, and safety for stored materials and staff. 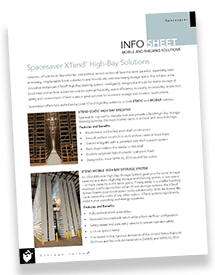 Spacesaver holds the patent for the XTend® Mobile High-Bay Storage System. 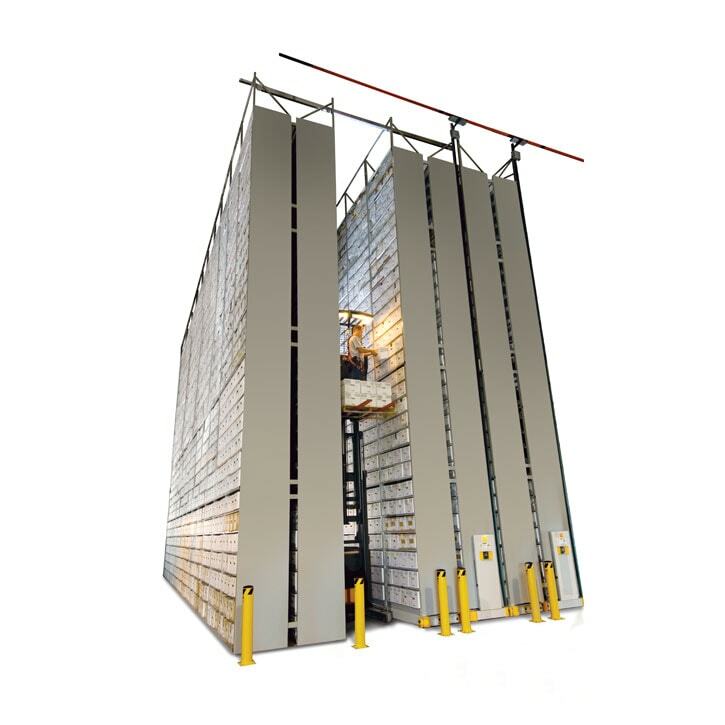 Combining the concept of static high-bay shelving with compact mobile storage technology, XTend was created specifically for off-site archive storage facilities. Wow – we still can’t believe how high this shelving reaches! Download the High-Bay Shelving Info Sheet and see for yourself. 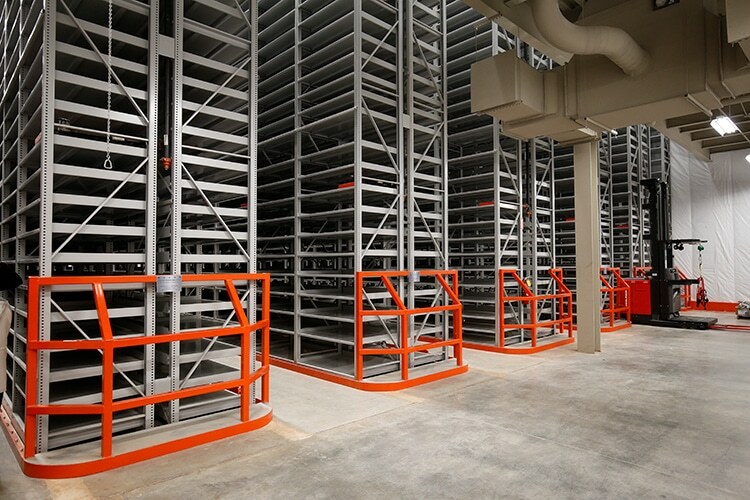 These Spacesaver High Bay Shelving Systems have been used by a number of prominent institutions, including a joint facility for Emory and Georgia Tech. Others include Yale, Cornell and Rutgers Universities, along with the Washington D.C. Metropolitan Police (for long-term evidence storage).